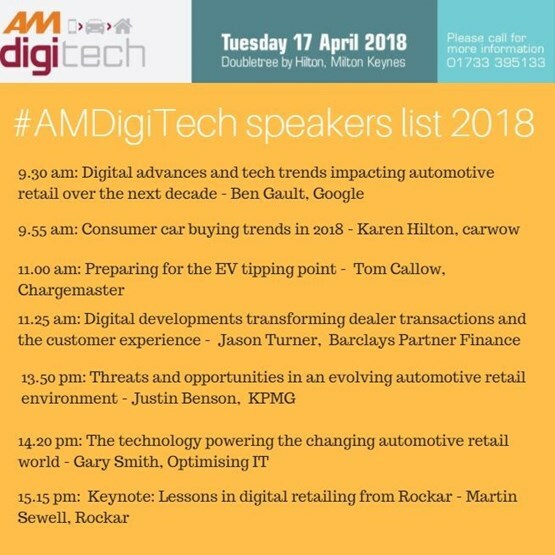 Rockar managing director Martin Sewell will discuss the omni-channel car retail business's “way forward” following the launch of landmark partnerships with Next and Ford when he takes to the stage as keynote speaker at AM DigiTech on April 17. 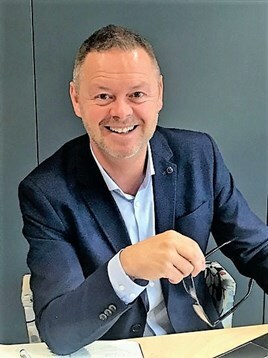 Sewell (pictured) will outline the company’s plans for the year ahead as it prepares to facilitate the opening of the first collaborative High Street store in partnership with Next and Ford at Manchester's Arndale shopping centre. 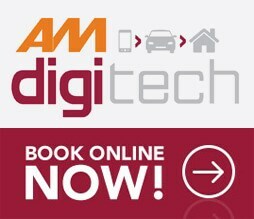 Taking place at the Hilton Doubletree in Milton Keynes, the AM DigiTech conference will explore the latest in digital and technology trends including the rise of EV ownership, the connected vehicle and online car buying behaviour of consumers. Since opening its first store at the Bluewater shopping centre four years ago, Rockar has developed an ecommerce platform that has driven a new approach to automotive retail and provided a wealth of data having facilitated 1.3 million user journeys and has welcomed over a million customers through its retail-focussed stores. Keynote speaker Sewell will share with AM Digitech delegates the extensive insights which it has used to develop and fine-tune the approach over the past four years. "There is definitely a move towards online retailing; 63% of transactions have been completed online through our bespoke platform, and the average age of car buyers for Rockar is significantly lower than for traditional retailers. “Our partnership with Next is part of a wider trend in retail where consumers are choosing to buy online and less in store. "It therefore makes sense for high street stores and dealers to come together to create experience centres as opposed to building even more expensive brand statement sites further out of town with lower footfall. "Brands and dealers need to take notice with the way the industry is beginning to shape up and the consolidation of prime retail estate." Manufacturers are exploring how their distribution model can evolve to meet changing consumer behaviour and support their dealer networks. Ford will be the first brand in the Next partnership, taking floor space in the fashion and lifestyle store at Manchester’s Arndale shopping centre. After four years partnering Hyundai at Bluewater and Westfield Stratford shopping centres in London, Rockar has handed that project over to dealer group Motorline. Sewell said that venture was always about proving the concept, and Rockar has retained Jaguar Land Rover at Westfield Stratford as a "world showcase" for dealers and manufacturers. Rockar stores are manned by 'angels', tech experts and advisers rather than salespeople, and consumers purchase digitally either in-store or online. Sewell said the data and learning gathered has enabled it to identify new viable distribution networks for carmakers and dealers. When Rockar had Hyundai they sold at heavily discounted rates, giving away everything up front and then some back end money too. Do they do the same with JLR?